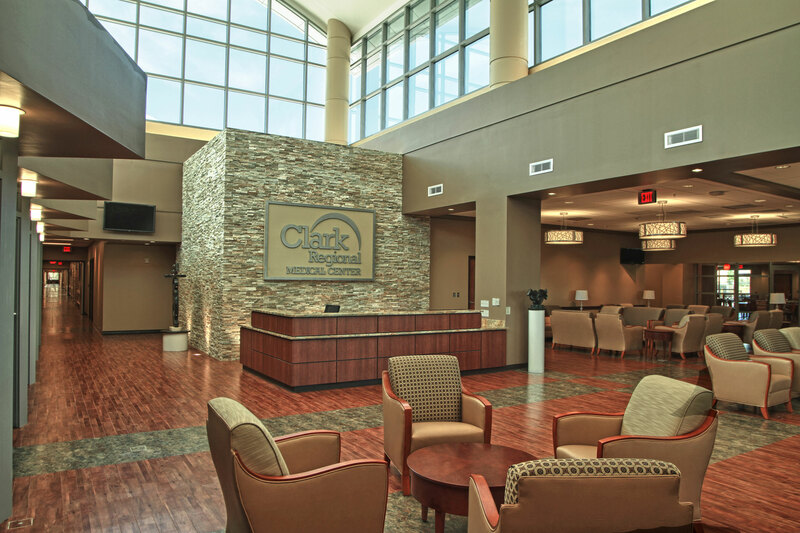 In just 18 months, Inner Design Studio completed a one-of-a-kind interior design for Clark Regional Medical Center. 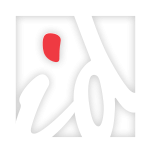 The project timeline challenged designers. Typically an interior design project of this scope takes at least a year to finalize, but designers completed the design in six months. 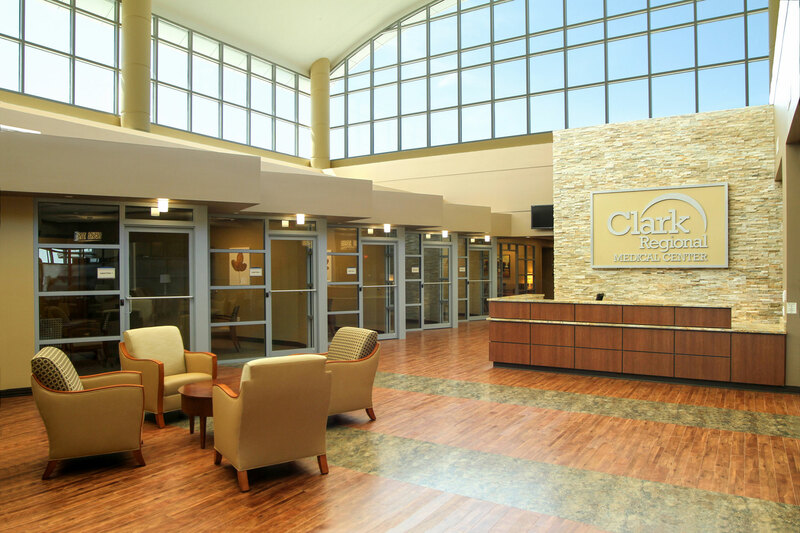 The overall design is representative of Kentucky and the Winchester community, and incorporates more local design elements and new design ideas outside normal LifePoint project standards. The main lobby features a three-story atrium anchored by a curved ceiling framed with clerestory windows that provide an abundance of light and create a lasting visual impression. A stacked stonewall feature at the front entrance draws the eye to the reception desk, which has a customized granite countertop. 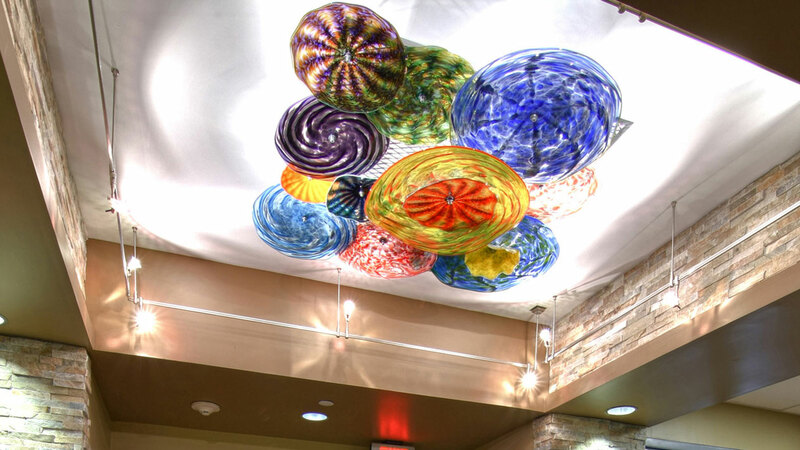 The stacked stone is repeated throughout the hospital at corridor intersections and centered by hand blown glass disc lights designed by a local artist, which not only contribute to the beauty of the facility, but also serve as a way-finding device for patients. Offsetting the lobby’s neutral walls, designers added color to the space through purple and cream patterned fabric on the lobby lounge chairs and loveseats. 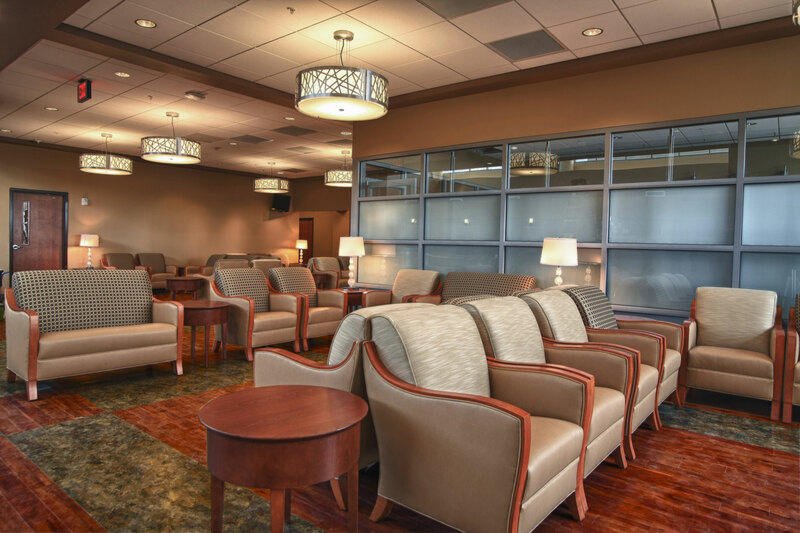 Walnut wood-look flooring throughout the facility complements the neutral color palette and keep the design timeless. 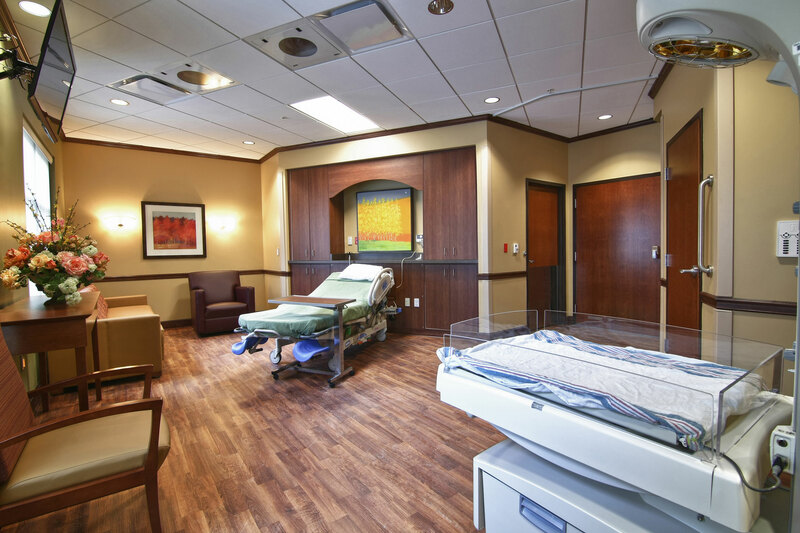 The Labor, Delivery, Recovery and Postpartum (LDRP) wing was created under a different design scheme to appeal to the area’s moms-to-be. A color scheme of richer golds, green and deep reds was used to create a comfortable, elegant design that felt like home.